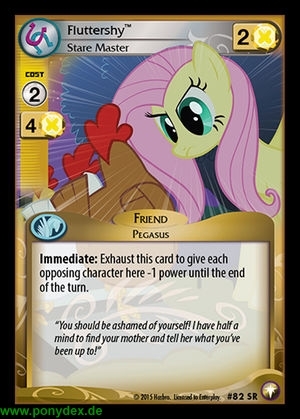 Immediate: Exhaust this card to give each opposing character here -1 power until the end of the turn. "You should be ashamed of yourself! I have half a mind to find your mother and tell her what you've been up to!"